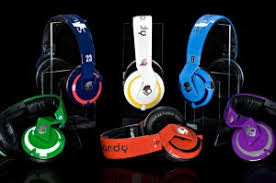 Skullcandy, Inc. the performance and lifestyle audio brand founded at the intersection of innovation and creative culture, announced the expansion of their product line with new headphones-Venue. These innovative headphonesoffers a fully immersive listening experience that allows the user to discover their audio in a whole new way. “Skullcandy is an iconic audio brand that embodies independence, creativity and appeals to our youthful and adventurous audio consumer,” said Jason Hodell, CEO of Skullcandy. “For 15 years, Skullcandy has thrived at the intersection of music, technology and boardsports by unleashing the visceral power of music for all. With Venue, we’re continuing our vision of delivering incredible immersive audio experiences,”. Speaking on the launch Amlan Bhattacharjya, founder and CEO of Brandeyes Distributors Pvt. Ltd said, “The Venue brings with it the best in class audio experience with premium acoustics, innovation in voice technology and unrivaled comfort. It also has unique features such as fast charging and the TILE technology to track your headphones. We believe Venue will be a game changer in the active noise cancellation category. While most noise-canceling products are only seen in the business class section of an airplane, Skullcandy’s newest wireless headphone, Venue, offers a noise-canceling experience designed for everyone — co-workers, roommates and commuters struggling to find their own space in shared working, living and traveling environments. Venue’s active noise canceling (ANC) technology is designed to deliver powerful ANC performance at an affordable price so that Skullcandy’s consumer can tune into what matters most to them: music they can feel. When users do need to tap into the outside world, Monitor Mode easily lets them hear their surroundings with just a push of a button. In partnership withTile,Venue is embedded with a technology that allows you to track or find your headphones through the Tile application on a mobile device. With up to 24 hours of battery life, Bluetooth® capability and a premium travel case, Venue keeps the music going wherever it’s taken. Venue is also equipped with Rapid Charge technology, providing five hours of battery life with just a 10-minute charge. Venue is available now for order online in both Black/Black and White/Crimson at Skullcandy.in, Brandeyes.in and in select retailers on October 10, 2018 priced at Rs. 18,999.